Monitoring your sporting programs with ease, in real time. Sportsight is a personal mobile sporting App which acts as your personal trainer to aid your success in sports. during the act! Sportsight is available as a Google Glassware, along with a supporting app on major mobile platforms. Get Sportsight now for free and start organizing your sporting activities! 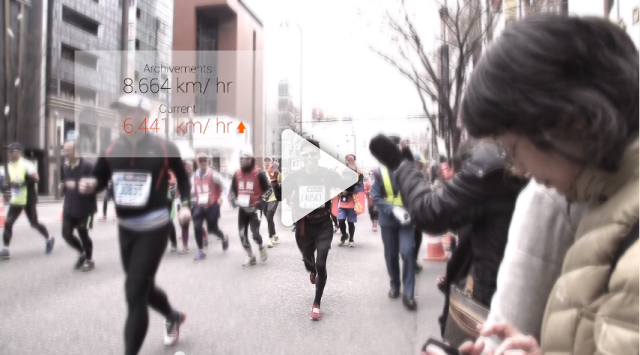 SportSight records and analyzes your training data. Time, distance, speed and calories burnt will be recorded for analysis purpose. Real time tracking and analysis is also implemented in SportSight. You can retrieve current performance and running check points by the GLASS App easily. Compete with your friends at SportSight's platform. You can easily track down the ranks and performances within your group of runners in real time with simple setup. Data is king. You can always retrieve your running records in SportSight App to evaluate your training result. We treasure any comments from you, leave us a message and make SportSight better!